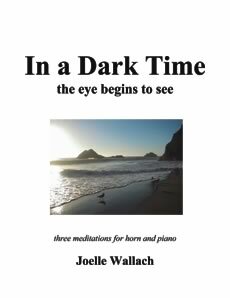 Joelle Wallach’s In a Dark Time (the eye begins to see) for horn and piano or chamber orchestra, was commissioned by the International Women’s Brass Conference for its opening concert of 2006. 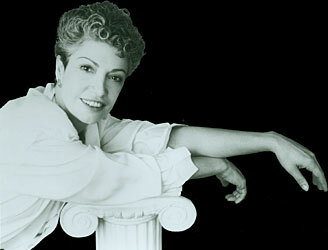 It was premiered there by Laurel Bennert Ohlson, Associate Principal Horn of the National Symphony Orchestra. Like the Theodore Roethke poem from which the title is taken, the music explores the revealing, redemptive power of times of psychic dark.